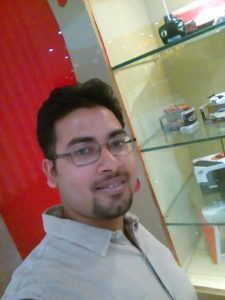 Hi, I am Alankrit Mathur. Founder of www.goalspin.com. Firstly i would like to say, that i love blogging. It helps me share my thoughts with the world. I love to give. I wouldn’t have been able to get connected with people otherwise. I really hated the traditional 9-5 jobs, i wanted to be my own boss. I could have been someone else but i know only blogging. Through this blog, i am going to discuss with you about the two best sports(arguably) of Cricket & Football respectively. I think we are going to have a lot of fun. I have passion for these sports & together with the power of blogging, we are on the right path. So lets begin our journey!